I saw that WINK contains Squalane. What is it? I’ve read online that squalane comes from sharks? Is WINK still vegan? Yay for new customers (and new readers)! You help shed light on issues that many might have missed. Some of you might not have realized that the WINK changed a little within the past week (including going fully organic). I’ll get back to this after I talk about Squalane a little more, and how it will impact your eyelashes. Let me just start off by saying this: Squalane is one of the least known and most misunderstood beauty ingredients and it is bomb. Are you ready for me to unleash some really deep science? Because today’s Q&A got me very deep in the internet soup. If you’re not done for the technical mumbo-jumbo, I’ve highlighted the takeaways in bold. Squalene is an Omega-2 fatty acid (C30H50) and thought to play a big part in the earliest beginnings of marine life (source). It’s structurally similar to beta-carotene and a precursor in the natural production of cholesterol by the body. Squalene is not only essential for a healthy skin–according to a new scientific thesis of PPAR technology it also differentiates also cancer cells to fat cells (adipocyte), followed by apoptosis (apoptosis = controlled cell death). In other words, Squalane helps cells recognize and kill cancer cells. Squalane is also anti-oxidant, immune stimulator, oxygen generator and a fat/energy regulator. It promotes cell growth, prevents UV damage, is non-irritation and when used regularly could inactivate carcinogenic chemicals (source). Holy moley. Squalane is produced naturally by the body, with production peaking in our 20s and pretty much dipping off after that (isn’t that how it goes, though?). Animals and people both produce Squalene naturally, so it can only be found in animal sources. Typically, it is derived from sharks for commercial use. Squalane, on the other hand–notice the A in SqualAne and the E in SqualEne–is the saturated form of Squalene (fancy way to say it has more hydrogen atoms on the carbon chain). It’s essentially the same thing. Squalane can be derived from plants: amaranth, rice, wheat, olives and yeast (source). Shark livers naturally contain 60-80% pure Squalene, whereas olives contain 0.4-0.8% naturally, but the squalane can be distilled down to 99% concentration (which is what we used in WINK). So Squalane is the vegan source of Squalene. Both forms are very easily and quickly absorbed by the body. Squalane is less susceptible to oxidation than Squalene, making it more stable and a better choice in cosmetics. In fact, squalane is very safe for cosmetic use (even around the eyes) and deemed a 1 in EWG’s SkinDeep database (source). Note: Sometimes it’s difficult or impossible to know how the squalane in your beauty products was derived, so you don’t know if it’s squalene or squalane, but in our case, I designated where it was from (olives!) on the ingredient listing. Q: What Makes Squalane Special? Squalane is a penetration enhancer. It mimics the skin’s natural sebum (squalene can be found in human sebum secretions), making it a great candidate to pass through the epidermis. Squalane can literally penetrate skin at a rate of 2mm/second (source). It’s hard to imagine chemicals moving that fast, to be honest. Amazing. 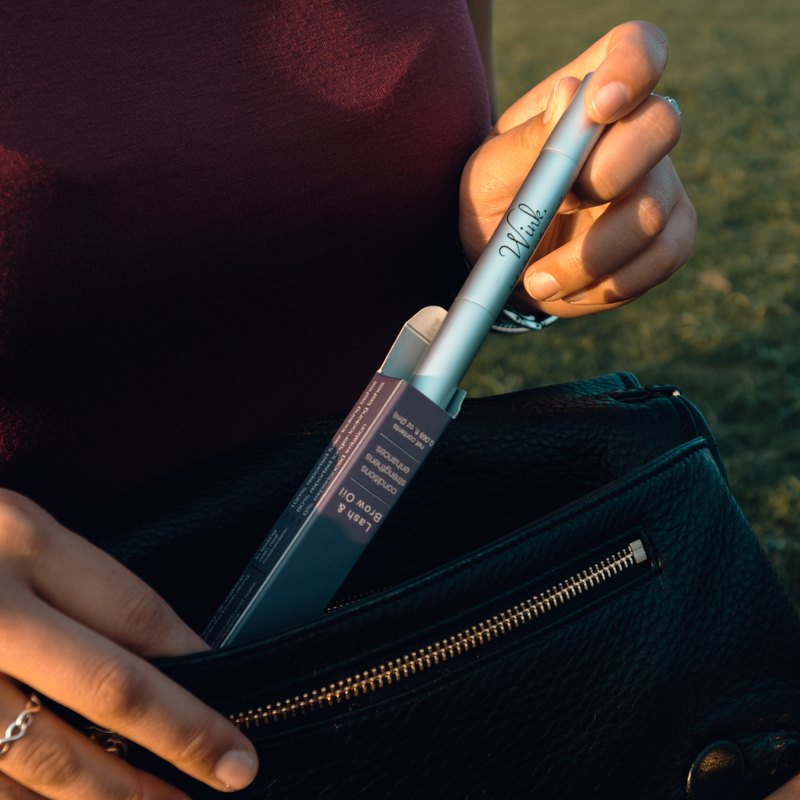 So in a unique mix of essential fatty acids aimed at helping lashes and brows grow to their full potential, step aside Jojoba oil: Squalane is the new penetration super star. Q: What Does Squalane Look/Smell/Feel Like? This question wasn’t asked, but I think it’s an important one for anyone considering adding squalane concentrate to their beauty routine. Unlike olive oil, squalane is a very low viscosity, transparent liquid with no detectable smell, and a feeling similar to a silicone lubricant. I’m not sure how else to describe the dry oil-feel of squalane. All I can tell you is that you will know exactly why it’s touted as a penetration enhancer the second you use it; it soaks into your skin faster than anything I’ve ever used. Q: Will I get the same benefits of Squalane from using pure Olive Olive? Squalane is only present in a 0.4-0.8% concentration naturally in olive oil. So applying olive oil directly to the skin in lieu of concentrated squalane won’t have the desired effect. Any cooking oil is, in my opinion, not a great choice for moisturizing skin, because of the excessively high amounts of Omega-6 fatty acids. You’re more likely to get pimples than anything else. Olive oil, however, is somewhat of an outlier in that it’s mostly composed of Omega-9 fatty acids, making it a decent choice for skincare. HOWEVER, and that’s a big however, most of your olive oil is fake. If you’re on that really top-shelf, straight-from-the-source stuff, then go for it. Otherwise, we’re back to square one. Q: Why is Squalane in WINK? Does Squalane Grow Lashes/Brows? Squalane alone cannot grow eyelashes or eyebrows. Squalane is an intermediary step in the production of steroid hormones, but not local hormones, like lash and brow-growing prostaglandins (source). That is to say that Squalane doesn’t directly grow lashes or brows via prostaglandin synthesis. 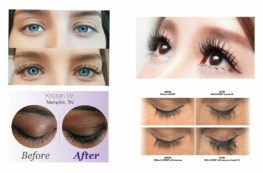 However the body does synthesize prostaglandin from essential fatty acids (source), and since prostaglandin production is done locally, applying EFAs directly to your lashes or brows is the best way to induce natural prostaglandin synthesis locally, thus signaling lashes and brows to grow. Squalane is your hot friend that helps you skip to the front of the line at the club. Or you can tihnk of it as a drug mule.. your choice, really. Squalane is instantly recognized by your skin and helps the key ingredients get to where they need to go, faster than ever. It’s also, again, non-irritating, helps spur new cell growth, anti-oxidant and has a lot of properties that you generally want around your eyes, lashes and brows. 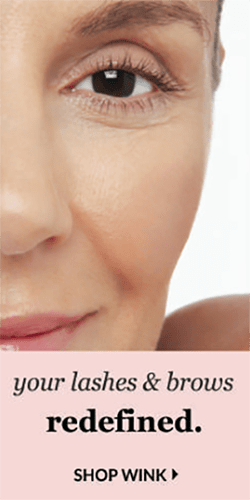 WINK is an oil; Oil moves (albeit, slowly), and the oil typically spreads out to your crows-feet area. Why not do a little anti-aging work while we at it? Finally, Squalane is safe for use around the eyes. Thank goodness! Q: Is WINK still vegan? Yes! 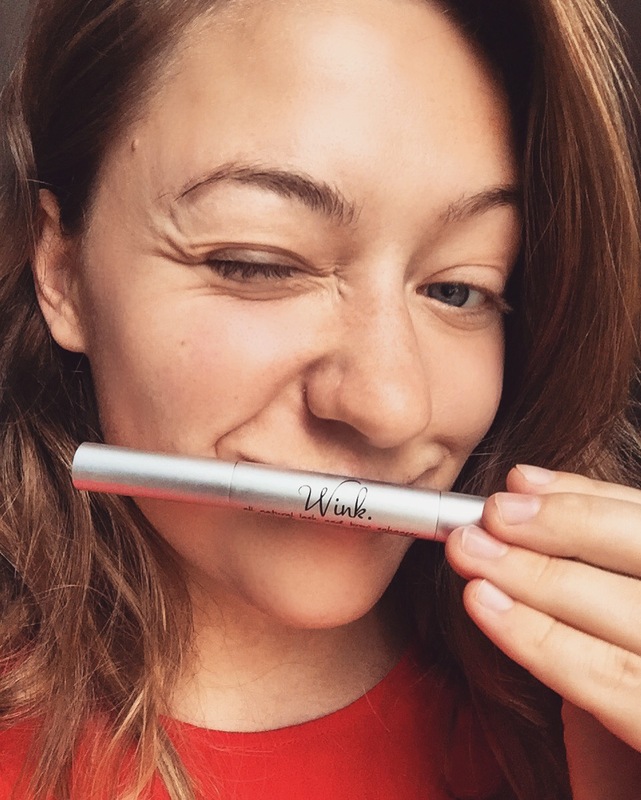 WINK is still vegan and in fact, it’s also organic now. Organic Ricinus Communis (Castor Seed) Oil, Organic Rubus Idaeus (Raspberry Seed) Oil, Organic Argania Spinsosa (Argan) Oil, Organic Aluerties Moluccana (Kukui Seed) Oil, Organic Borage (Borago Officinalis) Seed Oil, Organic Squalane Oil (from Olives! ), Organic Baobab (Adansonia Digitata) Oil, Organic Simmondsia Chinensis (Jojoba) Oil, Organic Tamanu (Calophyllum Inophyllum) Oil, Organic Punica Granatum (Pomegranate) Seed Oil, Phytocide Elderberry OS. Most of the ingredients are the same, some have moved up or down on the list, and a few are new altogether. I will be updating the ingredients page over the next week to indicate WHY the changes were made, and may be blogging on several of the ingredients as well because.. well.. they are AWESOME! Believe me: Any changes made to WINK are always for a better and better formulation, based off the newest information, not based on reducing costs. My information is not accumulated via “hot topic” headlines or fun reading. It’s by combing through hordes of really boring science journals and papers, and looking at anthropological data. Boring, but necessary work, because there are huge gaps in the data and not a lot of straight answers. For example, we (scientists, the FDA, THE WORLD) don’t even know WHY Latisse (bimataprost) works better than other prostaglandins or prostaglandin analogs, we just know that it does. That’s kind of disappointing (the FDA can approve things to work when we don’t even know how they work? How can we know side effects, safety? ), but at the same time, right now we are at a very exciting intersection of new and emerging data and technologies. Anyway, back to where my newest research has led me with WINK! Our lashes and brows always need plenty of Omega-9 fatty acids, to provide ample Eicosenoic (C20:1) acids to the cells locally for prostaglandin production. Omega-3 fatty acids are grossly absent in the modern diet, depriving the body of the balance it needs to grow proper lashes and brows. Especially important are GLAs, which are used to produce eicosanoids (refer back to step 1). Beyond increasing Omega 3s and key penetrators in WINK’s formulation, I also replaced our natural preservative system with one that’s a little more naturally bent and derived from Elderberries. I hope you all enjoy the newest formulation. I worked very hard on it and truly expect it to rock your socks off! To recap, Squalane is a natural, vegan omega-2 fatty acid that is associated with the earliest forms of marine life development, has been used for centuries to treat cancer and other ailments, and is a serious anti-aging and penetration rockstar. Squalane is a great product to have in your beauty cabinet, to add a few drops here or there to beauty products to help the key ingredients do their job better. However, always choose pure squalane over olive oil. 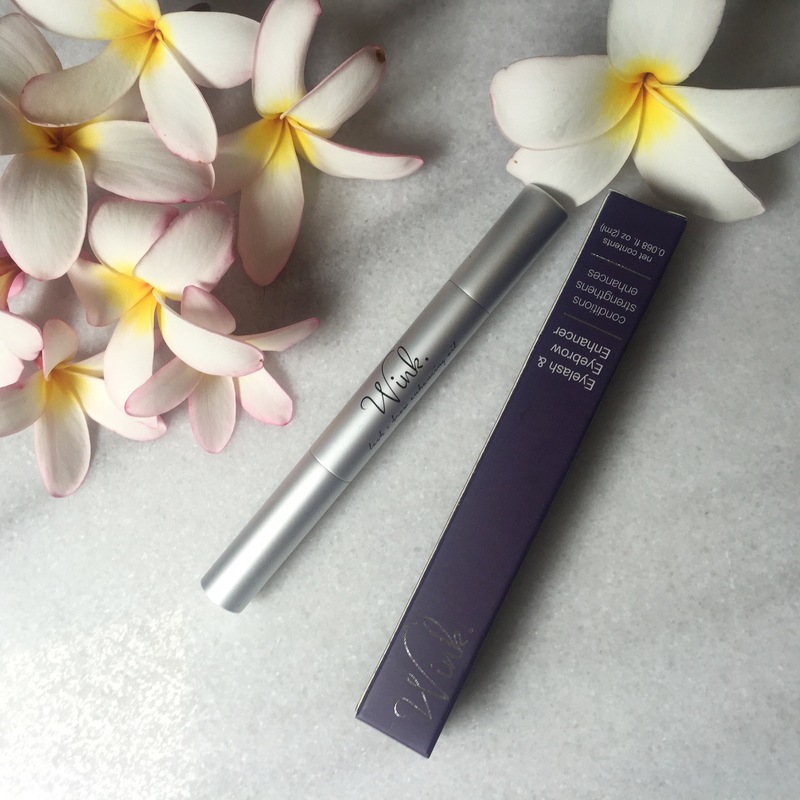 Squalane by itself cannot grow eyelashes or eyebrows, but in conjunction with the right mix of essential fatty acids (like in WINK), as a “drug carrier” it should be able to help key ingredients penetration deeply and do their job effectively. Additionally, it will leave your skin soft and smooth, and should help prevent signs of aging locally. The Squalane in WINK is organic and derived from olives, so it’s safe and friendly for everyone to use! 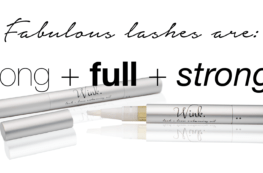 If you’re ready to take your lashes and brows to the next level, I encourage you to check out our organic lash and brow oil, WINK today. Gentle Reminder: Thank you for reading! If you liked this content and want to keep reading content like this, scroll to the top of the page and enter your email in box on the right hand column to subscribe. As always, if you like it, share it! Sharing buttons can be found below this post. From all the plumeria blossoms (also know as frangipani in Florida) in the heading, I thought the Squalene was sourced from flowers. I am learning more from your blogs than you will ever know. Hehe nope! I just picked those off of a tree outside my apartment because I thought they were beautiful 🙂 Glad you’re learning! I am too.